The 2017 regional scheme of the EU awarding investigative journalism in the Western Balkans and Turkey, for the best investigative stories published in 2016, has come to an end. 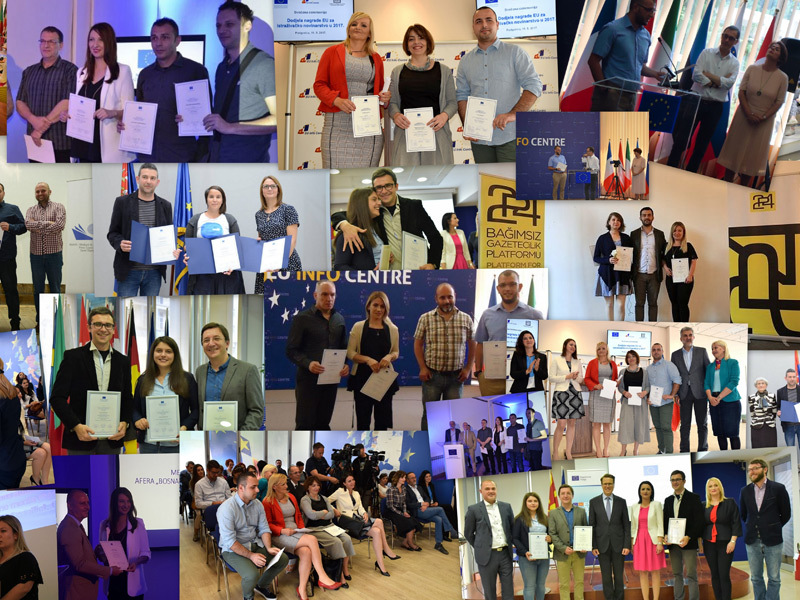 The three-year award scheme established by the European Commission following the EU Enlargement strategy, aimed at monitoring the reform processes and keeping alive the historic momentum towards EU accession, has thus been concluded. This year, BIRN won four awards, in Kosovo, Serbia, Macedonia, and Albania. The outcome of the three-year scheme, implemented in 2015, 2016 and 2017, has been 64 awards for investigative stories produced by 88 journalists across the region. The winning stories were selected from a total of 679 nominations. The organisers noted the prominent place BIRN won for itself over the three years of the award scheme. “Balkan Investigative Journalism Network (BIRN) and centers for investigative journalism (CIN) operating in several countries of the region were featured prominently among the awarded investigative stories (receiving a total of 18 out of 64 prizes awarded). It points to the role of independent, non-profit investigative journalism centers and networks in production of quality investigative journalism in the region”, the organisers wrote in the press release.